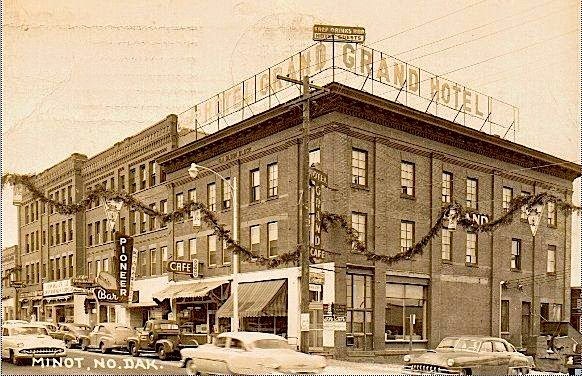 the Grand Hotel, at one time known as the Lexington Hotel, was on the Northwest corner of Central Avenue and 1st Street NW. The Grand Hotel was built by Olaf A Olson in 1906. 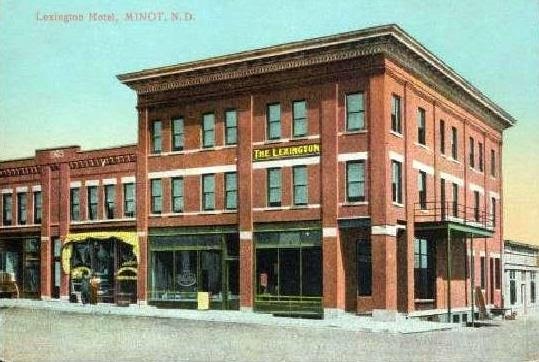 An addition was added in 1912, making it one of the largest buildings in Minot at the time. The Grand Hotel had 100 rooms and flourished until it was destroyed by fire on January 27,1960. More than 1000 people turned out to watch the fire. 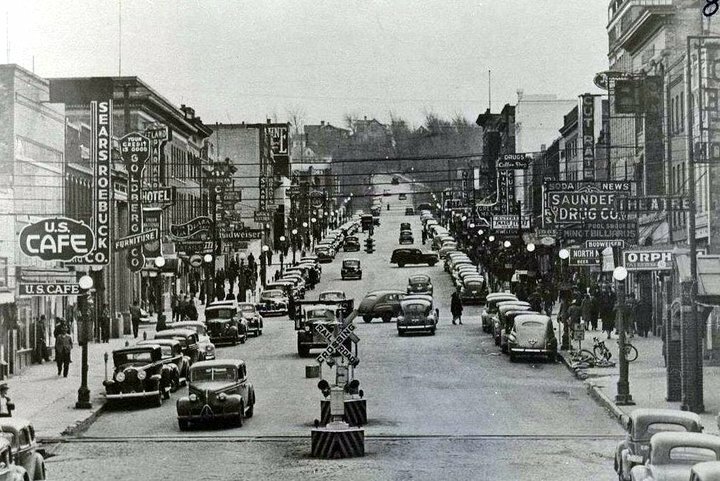 In addition to the Minot Fire Department, men from the Minot Air Force Base rushed to help fight the fire and provide crowd and traffic control. I was informed that one of the fireman from the base wanted to drive the new pumper truck into the Grand Hotel on the Central Avenue level. He was not aware that there were two more floors below the main floor on Central. The pumper truck would have ended up in the basement. The location of the Grand Hotel is now a below grade parking lot on Central Avenue used by the Brady Martz Accounting Firm.